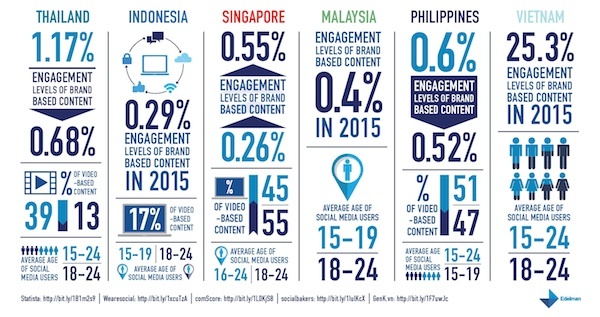 Engagement levels around brand-based content on social media remains stubbornly low across Southeast Asia, despite the proliferation of platforms and rising user numbers, according to research from Edelman released exclusively to PRWeek Asia. According to an in-depth review of secondary data, in Southeast Asia only Vietnam posts double-digit engagement levels with brand-based content, standing at an impressive 25%. Elsewhere, however, most markets struggle to get above one percent, as shown by this infographic. In Thailand, the number stands at 1.17 percent, in Indonesia it is 0.29 percent, In Singapore it is 0.55 per cent, in Malaysia it is 0.4 percent and in the Philippines 0.6 per cent. Within the wider Asia-Pacific region, however, Australia provides an interesting variation. The number of social media users reporting engaging with at least one piece of brand-based content in a 30-day timeframe has increased to 88 percent, while 82 percent of users undertook an e-commerce related activity. According to Edelman Digital Asia Pacific, Middle East & Africa president Gavin Coombes there has been an explosive growth in social media usage across ever-decreasing circles in recent years. "Our review of social media usage across Asia Pacific and the Middle East reveals constant shifts in the channels being used, the nature of the usage and who is using them," he said. "Even as social media becomes more and more part of the fabric of daily life, the pattern of that fabric is forever altering. However, at the same time, the rate of engagement with brand-based content has continued to remain low, presenting a major opportunity for marketers." 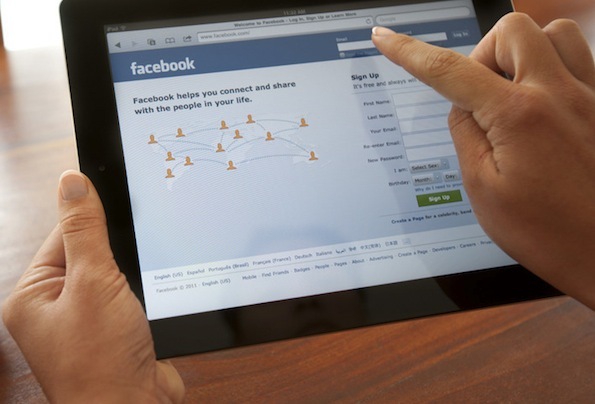 In the Southeast Asia markets assessed, Facebook remains the number one platform in terms of the number of users. 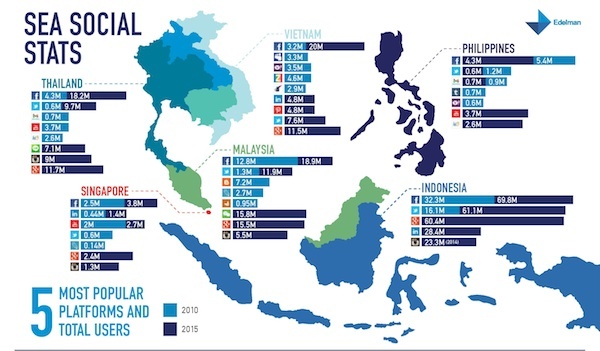 Twitter comes second in all bar Singapore and Vietnam, as seen in the infographic below. The research also reveals the proliferation of social media platforms and wildly differing levels of adoption across individual markets. As Edelman Asia-Pacific, Middle East & Africa CEO David Brain says: "With social media still being relatively new, one might assume that usage has grown at a steep and consistent curve. However, that assumption would be very wrong. It can be startling to witness the variety and degree of change among the different countries in this region and realize the implications it has for marketers." A closer look at individual markets reveals how widespread that change has become. 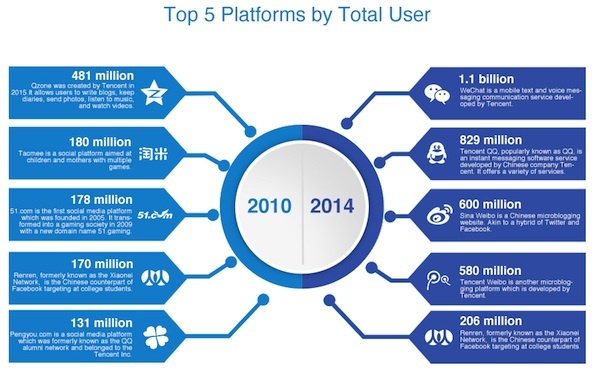 Of the top five platforms by total user in China from 2010, only Renren now remains on the list, propping it up in final place. China also reveals a broader regional trend - the rise in the number of online video users, which has increased from 284m in 2013 to 433m in 2014. 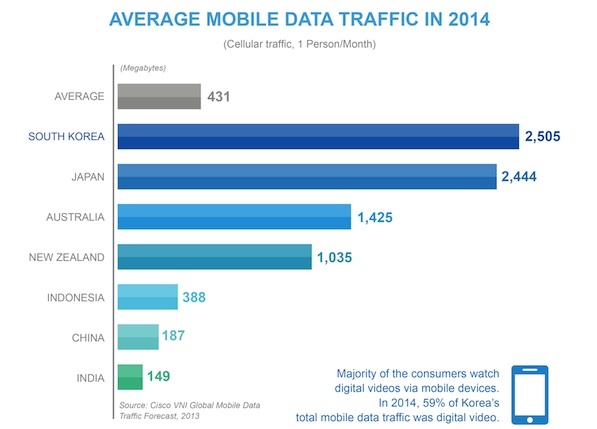 The number of people using mobile to access video in China has more than doubled over the past four years, but as this infographic shows, there is considerable scope for further growth. In India the average number of unique video viewers per month has risen from 32m in 2010 to 54m today. 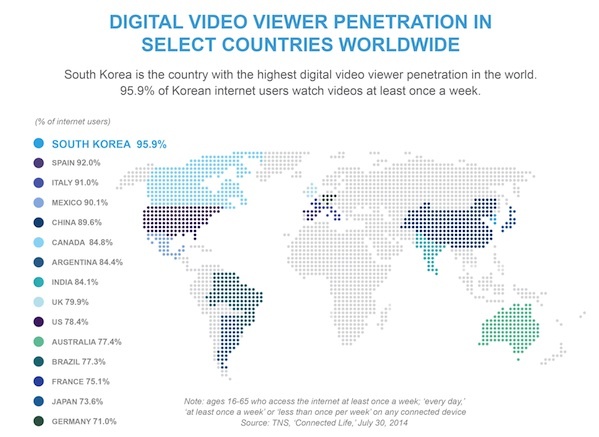 Meanwhile South Korea has the highest number on online video viewers in the region, with 95 per cent of people accessing one at least weekly. There are also notable generational trends to be drawn from the research, with a faster rate of growth of social media use among those in older age brackets, especially in South Korea and India. 1. Brands need to implement a long-term approach for the platforms they use and not jump to new channels without keeping an eye on the overall landscape. 2. Marketers need to be mindful of the generation gaps between different platforms and realize that the demographics they reach can quickly change. 3. 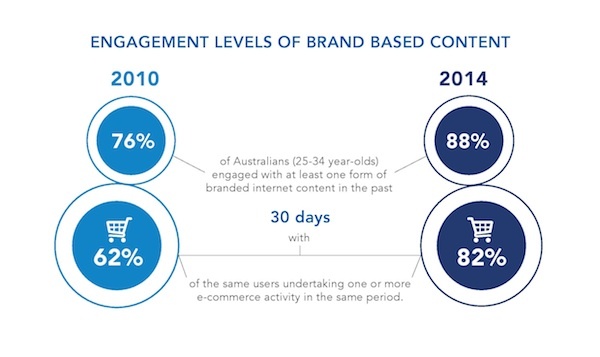 Brands can and should draw inspiration from other markets in their region – as an example, Australia displays a higher level of engagement of brand based content than other countries in Asia-Pacific. - "When the party gets crowded, the cool kids move on" – Read Gavin Coombes op-ed on the findings.